This year, the Sheikh Zayed Book Award is offering translation funding for literary and children’s titles that have won the award, with the goal of increasing the readership for Arabic books. By Hannah Johnson | This article is sponsored by the Sheikh Zayed Book Award. Along with the recent announcement of its 2018 winners, the Sheikh Zayed Book Award (SZBA) is also launching a new translation funding initiative to encourage more publishers to translate Arabic literature. Organized by the Department of Culture and Tourism- Abu Dhabi, the Sheikh Zayed Book Award recognizes writers and academics writing in Arabic and those promoting Arab culture in other languages. Literary and children’s titles that have won the Sheikh Zayed Book Award are eligible for translation grants of up to approximately US$19,000. (See a list of eligible titles.) Additional grants for certain types of production and promotion are also available. Priority will be given to publishers translating into English, German, and French, though other languages will also be considered. Publishers interested in acquiring translation rights to SZBA-winning titles can find more information and contact rights holders via the SZBA account on IPR License. This year, Syrian author Khalil Sweileh has won the Literature category for his novel, Remorse Test, about the Syrian civil war. Emirati author Hessa Al Muhairi won the Children’s Literature category for her picture book, The Dinoraf. And Egyptian author Ahmad Al Qarmalawi won the Young Author category for his novel, Summer Rains. Read about the 2018 winners of the Sheikh Zayed Book Award here. 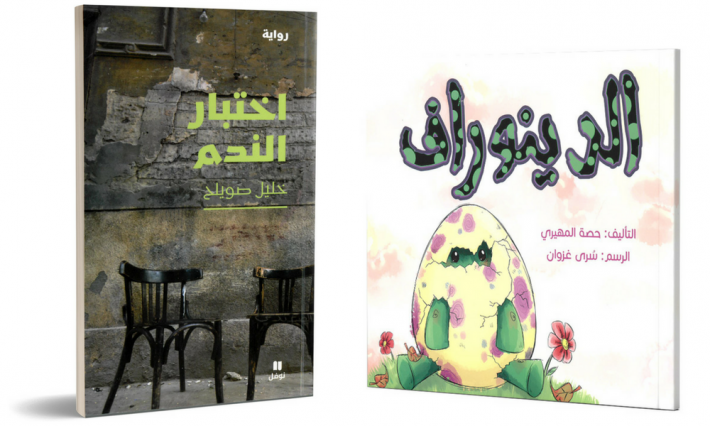 “The aim of SZBA’s translation fund is to contribute to increasing the number of Arabic books that are translated, published and distributed abroad,” say the SZBA organizers. You’ll find more information about this translation grant, a list of eligible titles, and how to apply below. Applications are accepted all year round. Notification is made after 2-3 months of application date. Translation-related costs, up to a maximum of US$10,000 per title. The signed contract between the publisher and rights holder for the Arabic edition, and between the publisher and translator must be included. Funding will prioritize three languages: French, English and German. The translation shall normally be carried out directly from Arabic. An exception can be made in the event of special circumstances, such as a lack of qualified translators from Arabic or that the book is already translated to English. SZBA may in some cases review the quality of the translation before the translation fund is paid. The quality of the book must be of an acceptable caliber and a quality assessment will be carried out by SZBA Scientific committee. The applicant must submit a promotional plan to the translated work. Contact SZBA via email at info@zayedaward.ae to receive the application form and instructions. Email completed application form and all required support materials to info@zayedaward.ae with the subject line “Translation Funding”.